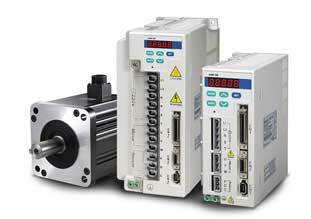 Servo drives are designed to power and manage performance of electric servomechanisms. They specifically monitor feedback signals and continuously adapt to deviations from the expected behavior of closed loop systems. This helps to improve overall performance through faster acceleration rates and more precise speed and position control. AC servo drives are specifically designed for AC motors, and provide the added advantage of motor feedback. After receiving and transmitting signals to produce motion, these drives also receive and adjust to reports from sensors on motor status. In providing continuous adjustment, they amplify performance in terms of the desired velocity, torque, and position, as well as stiffness, damping, and feedback gain in AC servo motors and control systems.